It is Friday 12 am, that I enter the train at London Bridge for the MSC Family Brighton weekend. 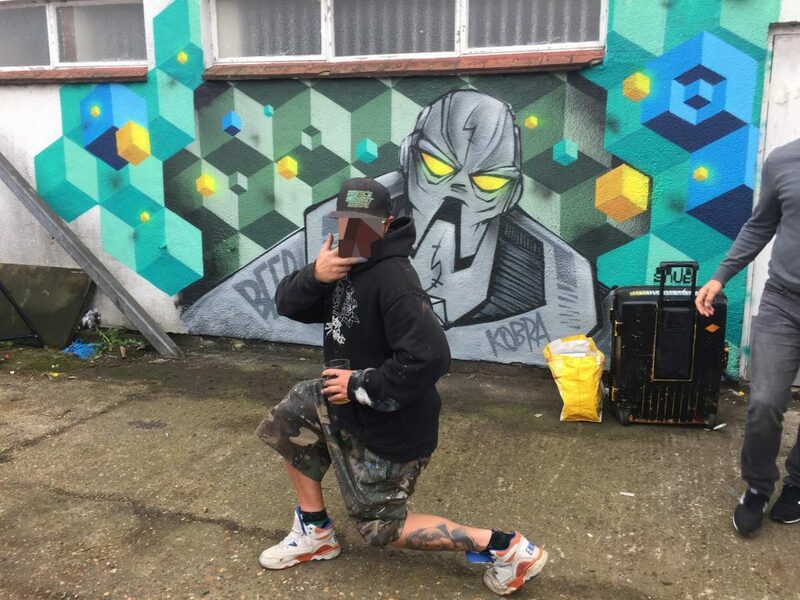 3 years ago Skatin and Karma83 moved from Amsterdam back to Brighton, after 8 years living, painting and partying in Amsterdam. 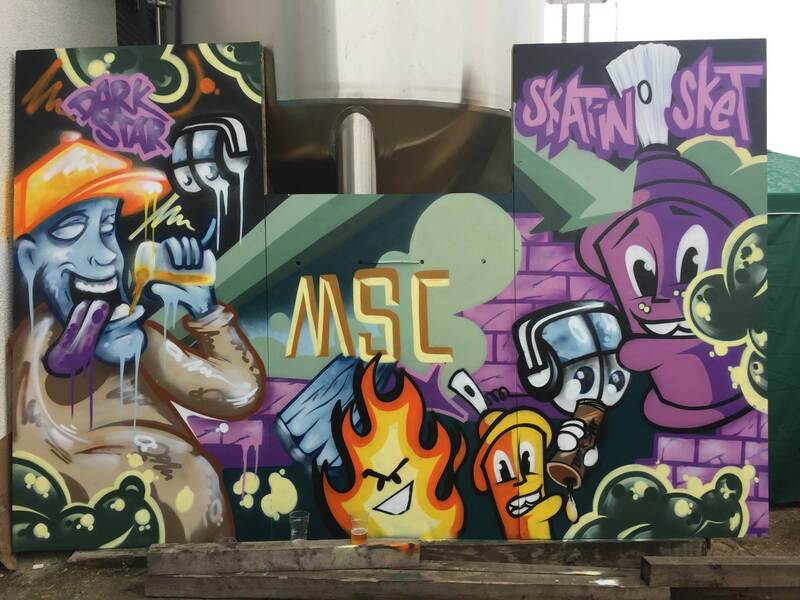 It was in Amsterdam where they founded the Multi SyndiCate crew in 2012. It was an amazing time back in those days (you could write a book of it). But as always fun ends so they decided to move forward and started their life back in their home town Brighton. I am very happy to visit them and see Karma83 and our youngest MSC member, I have not seen them since them move back. Skatin I saw on auction at Paint & Beer in Amsterdam or in Basel with the Swiss part of our MSC Family (Bust-Art & Zaira). As the landscape goes by in the window I’m getting closer to my destination Brighton where Karma83 & MJ are waiting to pick me up from the train station for the MSC Family Brighton weekend. At 13:22 I walked out of the station where I finally got to meet the very shy MJ and of course Karma83. 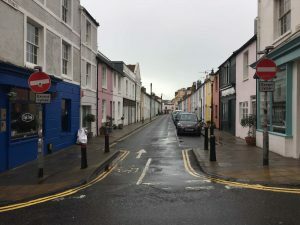 Before we went up hill to their place we drunk a cup of coffee and they showed me a bit of the city Brighton, we also walk by the brand new office place of Agency 3-Fold. By the time we got up the hill Skatin also arrived, one big Family moment, after a long time re-united. That evening Skatin showed me his home town the hangouts / places to paint,…. an yes of course we would not be ourself !,….we did drink to much and painted also a bit too much 😉 hahaha. 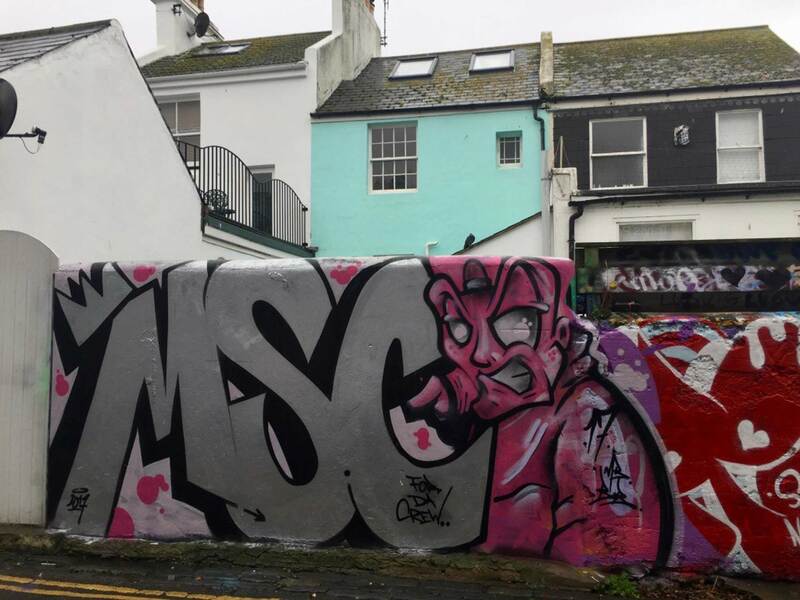 Brighton is a fun place with lots of spots to paint and a lot of the spots that are painted too. I have seen some impressive works from Aroe and very cool stuff from Gary. So after to much beer and 6 empty spray cans we headed back to headquarters. The next day Skatin and me head over to our good friend Snub23, Snub invited us to come and paint at the Hopfest a beer festival at the local brewery Dark Star, Horsham. For me it also was a great change to see a bit of the country side of the UK. Once arrived at the brewery we met the owner and straight got some fresh pints. It was an amazing experience and we had a great time BURP, I learned what a nice IPA is, we had some amazing burgers. What more good you wish for.